The Labs division was a technology and domain-focused team of 600, developing proprietary technologies . The plan is to reduce the strength by at least 30% over time, said sources familiar with the development . Given Infosys's stated desire to focus on the non-linear revenue model - where PPS plays a big role - the reduction in the Labs' strength appears out of line. But it is perhaps in keeping with chairman N R Narayana Murthy's idea of taking a step back into the traditional space of application development and maintenance (ADM) and infrastructure services in the short term. ADM and infrastructure services have been the spaces that have driven revenues for the industry's growth leaders - TCS, Cognizant and HCL - in recent years. Infosys's assessment is that it took its eyes off those spaces in its effort to build the non-linear business . 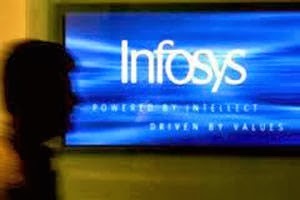 Murthy has said he would create a desirable Infosys in 36 months, and has said that the products & platforms business would be a medium-term focus. He is said to have interacted with several principal and senior software architects in the division. Infosys Labs was formerly called Software Engineering and Technology Labs (SetLabs). It collaborates with various universities -- University of Cambridge, University of Illinois at Urbana Champaign , Indian Institute of Technology Bombay, Monash Research Academy, Purdue University and Queens University Belfast. It is working on immersive technologies like augmented reality, touch and gesture interfaces and data visualization.